Tempeh is a type of fermented food that originated in Indonesia and is traditionally made from cooked soybeans bound together by a tempeh-specific spore culture. This short one or two day fermentation process produces a firm, meaty-textured protein-rich food that is not only easy to digest, but is full of rich and savory flavors. 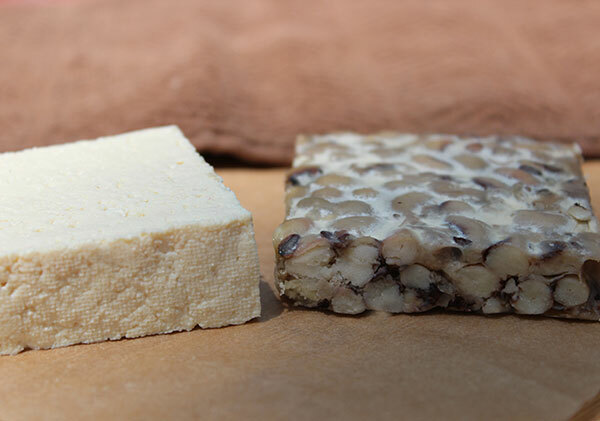 The ingredients used to make tempeh basically act as a food substrate for the Rhizopus mold strains which predigest the sugar, fat and protein content. These white mycelium spores weave together the legumes forming a type of "bean cake" with a pleasant mushroom-like taste and aroma. Tempeh is a great whole food addition to a health promoting diet and is ideal for those wanting to cut back on animal meat consumption. For many individuals who can't normally digest cooked beans, tempeh is the perfect solution. Likewise, it is often considered the new improved version of tofu as it is less refined and much easier for the body to assimilate. The two Rhizopus starter species, R. oryzae and R. oligosporus, are known to inhibit certain "anti-nutrients", like phytates and oligosaccharides, components which make legumes hard to assimilate. Their growth also produces enzymes which help to breakdown food-specific nutrients, providing greater absorption of the vitamins, minerals and amino acids. The nutritional value of this style of cultured bean cake varies widely depending on the foods used to make it, in addition to the quality of tempeh starter incorporated. It can be made from a wide variety of different legumes, not just soybean, as well as grains and a multitude of other integrated ingredients. Tempeh is often traditionally wrapped in banana leaves and sold fresh in Indonesian markets. However, in other parts of the world, it is usually available as a manufactured packaged food item. Accessible in most American health food stores, mass produced soy-based tempeh, in our opinion, is nothing like home-fermented varieties. Homemade tempehs consistently have that familiar gourmet mushroom-like flavor and a tender, yet firm texture that we find a little different from most store-bought brands that are largely missing these elements. 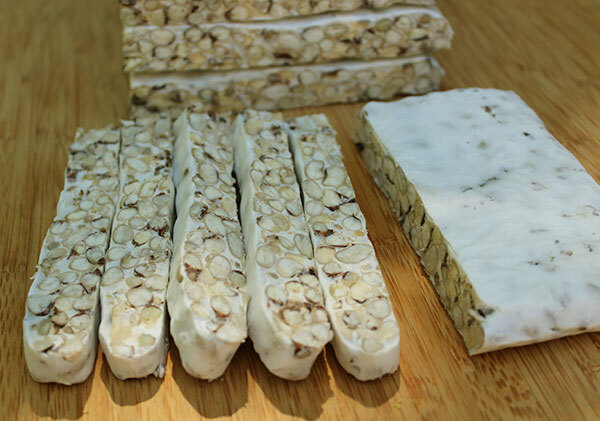 While new higher quality commercial styles are now on the rise, utilizing different types of legumes, there is nothing quite like freshly prepared unpasteurized tempeh. These days, making it from scratch is becoming more and more popular among Western vegetarian subcultures as it is a fairly simple process, once you get down a basic incubation technique and purchase a quality spore starter. 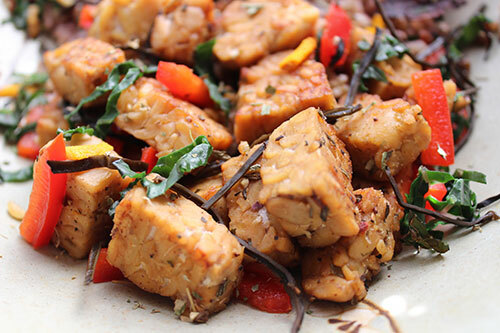 Tempeh, pronounced "tem-pay" and also spelled "tempe", is known to have originated from the Indonesian island of Java, one of the main chain of islands located next to Bali. The Serat Centhini, a Javanese book of historical documentation published in 1814, makes reference to the consumption of tempeh among the Javanese people in the 16th century. Although influenced by the Chinese and their soybean-based tofu making methods, the main source of evidence that "tempe" came from the Java region is primarily founded on its present day popularity in these locations with many variations from the original soybean version. In an excerpt from "The Book of Tempeh" it states that "Tempeh is known in even the most remote rural areas throughout most of Java and is an integral part of the cuisine served in a wide variety of popular dishes..."
Although an indigenous Indonesian food, up until the mid 1960's, tempeh was considered an inferior food identified with the "lower class." Some of the very first published studies were not in fact conducted by native peoples but written by Europeans and former Dutch POWs, as it was an often served staple in POW (prisoner of war) camps. In the early 60's, two groups of American microbiologists at both Cornell University and the USDA Northern Research Center did further investigation on tempeh primarily working with two Indonesian scientists Yap Bwee Hwa and Ko Swan Djien. They both published detailed articles on "tempe" based on their own personal knowledge and scientific research. At this same time, along with the vegetarian health movement, tempeh became popular on a small scale in the U.S. as a protein replacement for red meat, poultry and fish. By the 1970's, it was specifically promoted through a vegetarian-based community called "The Farm" located in the state of Tennessee. This group not only made and consumed homemade tempeh, they extensively propagated spore cultures, endorsed it as a valued food source for other vegetarians and widely influenced tempeh's popularity here in the U.S.
Shurtleff and Aoyagi write "A great deal of the credit for introducing tempeh to the American public goes to The Farm." Making tempeh basically only requires a few ingredients: legumes, unpasteurized apple cider vinegar and a tempe-specific starter culture. While soybeans are a traditional bean of choice, tempeh's can be made from most any type of legume, grain and a wide range of other incorporated ingredients including coconut, peanuts, hemp seeds, seaweeds and many different spices. Soaking, dehulling and slightly under cooking the beans. Thoroughly straining, to remove excess moisture, and cooling to body temperature. Integrating vinegar and starter powder. Placing this mix in a ventilated tempeh-making container or plastic bag with holes, pressing it into a cake about 1/2-3/4 of an inch thick. Allowing it to ferment in an incubation space with good air flow that remains within a temperature range of 85-90°F (29-32°C) for a 24-36 hour period. During the process of fermentation the vinegar initially acts to lower the pH, encouraging a lactic acid environment that is conductive to tempeh-spore growth. Lactic acid bacteria, like Lactobacillus, further discourage the growth of other non-favorable species. This culturing process is created by the activities of both mixed bacterial and mold cultures, but interestingly, according to one scientific review, "not all Lactobacillus species are capable of coculture with Rhizopus." 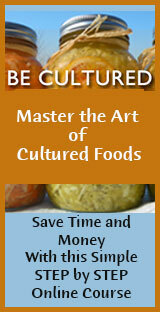 There is an art to making tempeh as it requires a set incubation period at a specified temperature. This procedure might take a little practice for the tempeh-making newbie, but is well worth the time and effort. For step by step instructions on how to make tempeh see our homemade garbanzo bean recipe or our black bean tempeh at the bottom of this page. 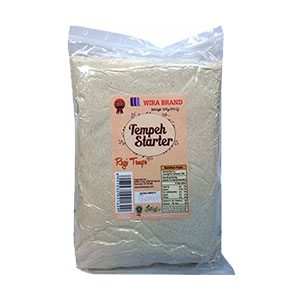 The primary strains used for making tempeh are the R. oryzae and R. oligosporus, from the genus Rhizopus. 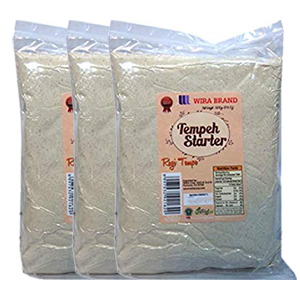 Most high quality Indonesian tempeh starters contain a combination of both these types and can be purchased from online suppliers. These two strains are edible mold spores that help to predigest the beans, producing desirable properties and metabolites. They also help to inhibit other potentially harmful molds and bacteria from forming in the later stages of fermentation. They principally consume the food substrate, binding it into a solid block that takes the form of whatever you are fermenting it in. Most eloquently stated in The Book of Tempeh, "Rhizopus oligosporus brings about a total transformation, unfolding a panorama of delicious new flavors and aromas, creating a unique texture and appearance, while simultaneously enhancing the digestibility and nutritional value." 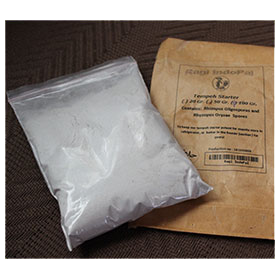 The white Rhizopus culture, as it spreads through the cooked beans or other ingredients, is very similar to what mushroom mycelium looks like, if you've ever tried to grow your own medicinal mushrooms, such as shiitake. In fact, the mold spores are technically classified as a type of fungus from the family Mucoraceae and belong to the class Zygomycetes, specifically the Rhizopus microsporus group. 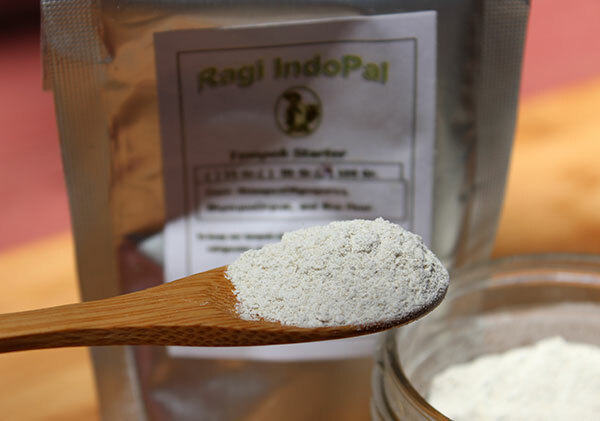 The edible non-toxic Rhizopus oligosporus/oryzae spores are usually grown on a substrate like rice flour and available as a powder or they can also be propagated from over-ripened tempeh. Tempeh-molds are somewhat particular, requiring some air flow as well as consistent heat, but not too little or too much of either. When fermented appropriately under these conditions, the white mycelium-like growth rapidly propagates and forms a congealed cake. 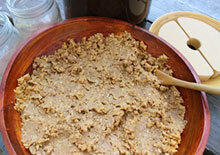 Some black spots may also be present near the surface of both commercial and homemade tempeh. This is an indication of mold sporulation and does not mean it has gone bad, but rather is known to increase flavor. Rhizopus culture, as it spreads, deactivates trypsin inhibitors in beans that tend to impede digestion and limit complete assimilation. The short incubation period also reduces the raffinose-type oligosaccharide content that makes beans hard to digest for a number of people, causing gas and intestinal upset. In a 2007 study published in Food Chemistry the Rhizopus oligosporus culture was shown to be effective at reducing flatulence compared to the un-fermented beans. All beans are a major source of dietary protein and provide a meat-free alternative for vegetarians, vegans or those looking to cut back on animal food consumption. The quality of protein in food is based on the quantity of amino acids present as well as the digestibility of the food source. There are 20 different amino acids that form the building blocks of protein, but only 11 that the body can naturally produce on its own. The other 9 are "essential" because they must be supplied through dietary intake. This list includes: phenylalanine, valine, threonine, tryptophan, methionine, leucine, lysine, isoleucine and histidine. A "complete protein" is a food that contains an adequate proportion of all 9 essential amino acids. While foods like red meat, chicken, eggs and fish are indeed complete proteins, you don't necessarily need to get all essentials from one particular food item. Because essential amino acids are available in different proportions, sufficient ratios can be provided for through a balanced diet which incorporates a varied intake of different foods. Some of our other favorite vegan protein-rich foods include quinoa, leafy green vegetables, spirulina, bee pollen as well as nut and seed varieties. Most beans are not complete proteins, but when consumed with other foods, like grains, the missing essential amino acids are replenished. One of the great benefits to consuming tempeh is that the protein is predigested after the culturing process, which makes the amino acid content readily absorbable. The second great thing about homemade tempeh, in particular, is that grains and beans can be cultured together to balance essential amino acid ratios, making it a highly digestible complete protein source. Tempeh, primarily made from beans and grains, is a source of soluble and insoluble dietary fiber, contains no saturated fat and does not raise "bad" cholesterol or LDL's, low-density lipoproteins. It therefore makes a heart healthy alternative to meat-based protein for those with high cholesterol and cardiovascular disease. Our digestive functions naturally provide a certain amount of enzymes needed to break down food into usable nutrients. However, as we age we produce less and can also become depleted when the diet is compromised by an over-abundance of processed, fatty-rich, cooked and refined foods. 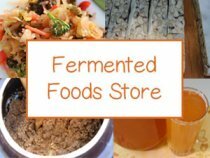 One of the benefits to eating most fermented foods is that they are high in enzyme content. 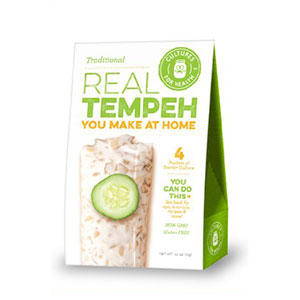 While cooking the tempeh over a temperature of 118°F (48°C) will naturally destroy the enzymes present, they have already helped to catabolize the proteins, fats and sugars, making the nutrients more bioavailable and easier to digest. This in turn places less of a need to utilize our own digestive enzyme reserves. According to Shurtleff and Aoyagi, authors of the "Book of Tempeh", the fermentation process produces an abundance of active protease enzymes that have been shown to break down more than 50% of the protein into amino acids. In addition, lipase enzymes also help to hydrolyze the fats into readily available fatty acids. The culture produces the enzyme phytase which breaks down phytates, thus increasing the absorption of minerals such as calcium, zinc and iron. 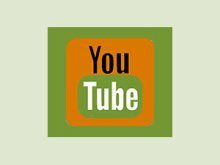 Does Tempeh Increase Intestinal Microflora? While homemade unpasteurized tempeh is most likely a probiotic-rich food source, because of the presence of certain lactic acid bacterial species, there is not much scientific-based research identifying its ability to increase beneficial intestinal microflora. Because most tempeh is primarily made from beans, which are an acid-forming food, it is not recommended for extreme cases of candida overgrowth. 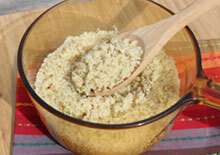 However, it is possible to make tempeh exclusively from alkaline-forming grains, like millet, to reduce acidity levels. Research documented in the Journal of Applied Bacteriology, showed that the Rhizopus spores create their own set of nutrients during the process of fermentation. "The Rhizopus strains formed riboflavin, nicotinic acid, nicotinamide and vitamin B6." The nutrients in tempeh also vary on what legumes or other ingredients are used to create it. Many bean varieties, like garbanzo, soy, black bean, mung and pinto, are a good source of folate, vitamin B6, thiamin, calcium, manganese, magnesium, phosphorus, potassium, copper and zinc. Many soy-based varieties are notably higher in iron content. 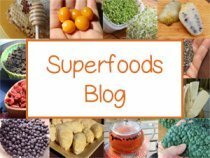 Is Tempeh a Source of B12? There are a number of studies that conclude that soy-based tempeh has been shown to be a source of vitamin B12. In one study it was identified that two other beneficial airborne bacteriums, Citrobacter freundii and Klebsiella pneumoniae, which are sometimes naturally produced during the fermentation process may be the primary constituents responsible for increased B12 content. However, it was also found that these B12-producing bacteria are not normally present in Rhizopus spore powders but may inconsistently enter in at various stages of fermentation. This means that not all tempeh may contain B12 in significant or reliable amounts. According to Nutrition Data 100 grams of soy tempeh (most likely a commercial American variety) has only 0.1 mcg of B12, which is only a trace amount of the vitamin. The recommended daily allowance for the average adult is 2.4 micrograms of B12. William Shurtleff and Akiko Aoyagi in their 2001 edition of "The Book of Tempeh" write, "researchers found that the vitamin B12 content of tempeh presently made and sold in North America ranges from 1.5 to 6.3 mcg per 3 1/2 ounce (100 grams)." While this is still a currently controversial subject, we speculate that homemade versions might have an increased advantage over tempeh created in a controlled environment due to the fact that wild airborne B12-producing bacteria are more likely to be present. However, whether or not it is a bioavailable form on the vitamin is also debatable. We do not therefore recommend that vegans rely on tempeh exclusively as a vitamin B12 source, but should additionally supplement to ensure adequate levels of this important nutrient. Tempeh is often considered the new improved version of tofu as it is less refined, made from the whole bean and much easier to assimilate. While tofu by itself is somewhat flavorless, tempeh has its own unique delicious taste without any added marinades or ingredients. Tofu is often marketed as a food high in calcium. Although soybeans do contain some calcium content, calcium sulfate is also an added ingredient used to coagulate the heated soy milk; it is not a natural food-based form of calcium. 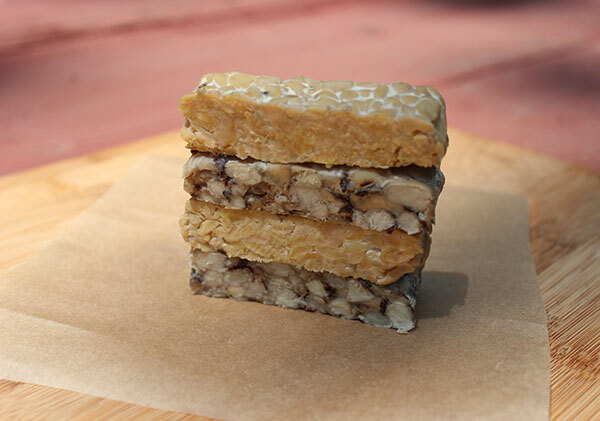 According to Nutrition Data, ounce for ounce tempeh has a higher caloric value with more bioavailable protein and a slightly increased amount of fat content. As a cultured food, tempeh is a great choice for people who have difficulty digesting plant-based soy foods like tofu. Soybeans, as well as other beans, have high amounts of phytates that are not always completely removed through soaking and heating. Phytates can lessen the absorption of minerals and other nutrients, but are significantly decreased via the phytase enzyme produced by the Rhizopus spore culture when fermented. Again, tempeh can additionally be made from other beans besides soy which makes it a great alternative to tofu products. Soy is known to contain high amounts of goitrogens, as well as phytoestrogens that can cause metabolic and hormonal imbalance for certain individuals. There are currently, as of 2016, only several quality commercial organic non-GMO tempeh products available in most U.S. health food stores. These types do undergo a pasteurization process after the tempeh is fermented, so you still get the benefits of the predigested food, just not the enzymes and potential microflora content if you decide not to heat it. According to our direct communications with many of these companies, they are steam-heat pasteurized at temperatures around 165°F (74°C). While these brands are not quite the same as homemade tempeh or Indonesian varieties, they can be a convenient alternative for some people. In addition, some small-scale suppliers are also now offering high quality tempeh using other types of legumes. These are presently only available through online sources. Tempeh is a very versatile food, it can be used plain or will readily absorb any seasoning or marinade it is prepared with. The tender, nutty, rich mushroom-like flavor is delicious with grains, in soups, salads or as a sandwich ingredient. It can be baked, lightly sautéed, steamed or grilled as a meat alternative for vegans, vegetarians and likewise makes the perfect vegan cooked food option for those following a high raw vegan diet. Homemade versions can be made into rounded burgers or sliced into squares and frozen for later use. If you are going to fry tempeh, coconut oil or red palm oil are two of the best oils to cook with as they have a high heat tolerance and don't oxidize as quickly as other oils. One of our favorite ways to enjoy this fermented food is in miso soup made with our homemade garbanzo bean miso paste recipe. Although tempeh is predigested by enzymes created during fermentation, these enzymes will be destroyed when heated over 118°F (48°C). While some people might enjoy unpasteurized or homemade versions unheated, as a way to preserve some of these nutrients, we find that tempeh is less palatable as an uncooked food. 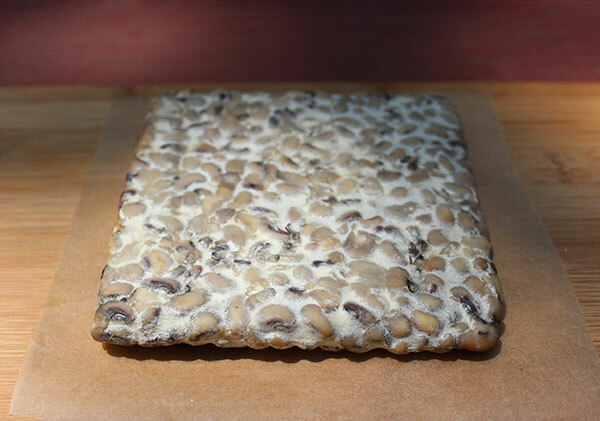 Remember, there is no such thing as "raw" tempeh, as all bean cake is initially cultured using cooked beans. If you do decide you like to eat it raw, which is similar to eating raw mushrooms, fresh homemade varieties straight from the incubator are much tastier in our opinion. 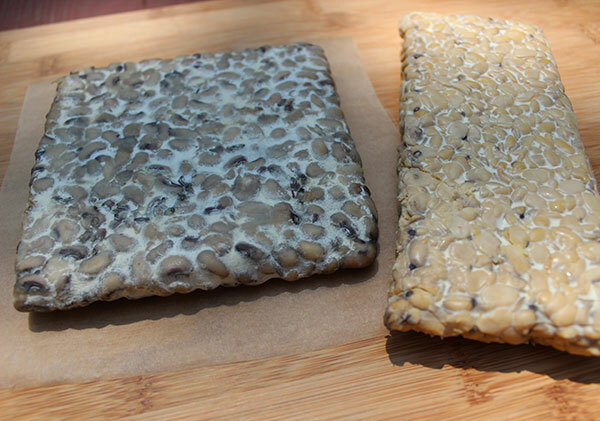 Dehydrating or lightly steaming raw tempeh will ensure higher amounts of beneficial microbes and enzyme content generated by the Rhizopus culture. This objective can also be achieved by adding it, cubed or crumbled, into pre-cooked meals or into low-temp soups, sauces and stews. It can be similarly blended into dips or pâtés as an alternative to cooking methods. 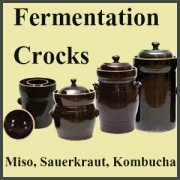 Visit our fermented food recipes page for more homemade fermented food options like sauerkraut or kefir.